The Education & Healthcare and Natural Resources & Mining industries have been the most important drivers of economic growth in Grant County, accounting for 62% of all new jobs and 40% of all new businesses created. Western New Mexico University (WNMU) and Gila Regional Medical Center are the Education & Healthcare industry’s largest employers with 722 and 700 employees, respectively. Other major Education & Healthcare employers are Silver Consolidated Schools (418 employees) and the Cobre School District (219 employees). Freeport-McMoran is the Natural Resources and Mining industry’s largest employer with 1,400 employees. Grant County offers many unique quality-of-life amenities for residents and visitors including museums, historic sites, and natural resources. 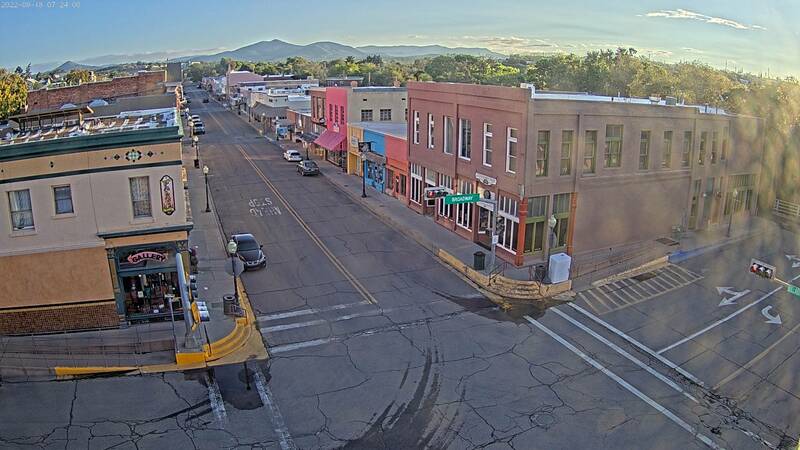 Grant County has a rich history that connects it to the “Old West” via the community of Pinos Altos, the Ft. Bayard National Historic Landmark, and other significant historic sites. Western New Mexico University provides easy access to athletic events while several organizations provide musical events and festivals. Grant County also offers a wide variety of outdoor recreational activities ranging from scenic hiking and biking trails to some of the best hunting and fishing opportunities in New Mexico. Silver City was named the first “Gateway Community” to the Continental Divide Trail that stretched from the north border of Mexico to the Canadian border following the continental divide. Grant County is located in a prime location for solar and geothermal energy production. Located in the sun belt, New Mexico is one of the top solar emitting states in the U.S., and southern New Mexico is particularly strong in solar-energy potential. Not only do solar farms present opportunities for Grant County, but solar panel manufacturing also afford tremendous potential. From a cost perspective, producing solar panels in southwest New Mexico is economically viable given the proximity to large areas of undeveloped land with some of the highest solar photovoltaic energy potential in the United States. Grant County also presents as a potential resource for geothermal energy. Western New Mexico University is a four-year university with a community-college capacity. WNMU has a strong nursing program. Educational attainment levels are much higher than in the past decades. Proximity to New Mexico State University (NMSU) in Las Cruces, which is a major research university. Commercial daily air transportation from Albuquerque and the Phoenix. Local business people are highly entrepreneurial and resourceful. International Business Accelerator, affiliated with WNMU. Vibrant arts and culture community. 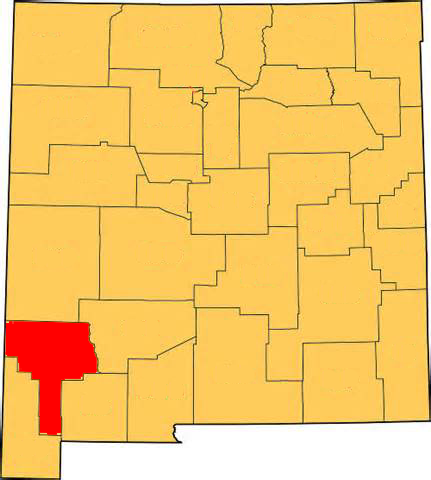 Location in southwestern New Mexico. Excellent quality of life features. WNMU, Silver City, and Grant County government bodies have a collaborative relationship. There are multiple organizations interested in developing the local and regional economy. Diverse range of energy assets. Rich mineral deposits with growing employment opportunities. Workers are willing to drive long distances to work. Competitive operating and labor costs. Strong growth in business establishments. Generally high-quality, well-maintained state and county highways and local road system. Land is a tremendous asset. A three-county system for public transportation. An on-going theater district development plan. There is a strong residential rental market. Direct daily commercial air transportation from the Grant County Airport to Albuquerque and Phoenix. Rich historical and cultural environment. Strong community health care system. Incredible scenic beauty and vistas. Outdoor recreation opportunities valued by young professionals (especially, hiking, biking and walking trails). Vibrant arts and cultural district. REGIONAL CONNECTIONS - Many workers travel across county and state lines to their places of employment. Evidence of intertwined regional economies is revealed by an analysis of Grant County’s labor shed – the counties where Grant County workers live – and the commute shed - the counties where Grant County residents work. Grant County is not an isolated economy, but rather acts as a player in a broader regional economy with important linkages, including a shared labor pool, a multi-county university system, and strong partnerships between regional employers and educators. Data provided by the U.S. Census Bureau shows that many people in Grant County and surrounding counties travel long distances to work. Sixteen percent of Grant County’s workers drive more than 50 miles to their places of employment. As a result, Grant County should not just see itself as a lone county but as a part of a larger regional economy. Regional cooperation in any area is a major component to success in economic development. Regions, not individual cities or counties, are the locus of competitive advantage in the new economy –an economy where human capital plays a much more important role in company and community prosperity. Click on the following links for more information about the Grant County Economy.